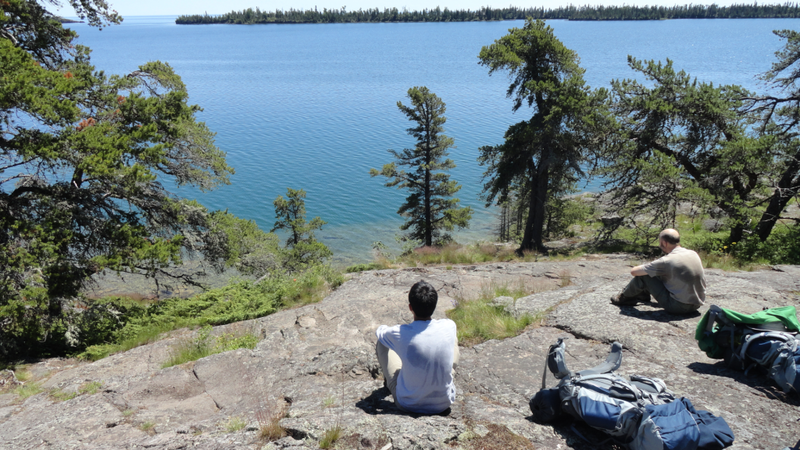 This was my third trip to Isle Royale National Park, and I can’t wait to go back again. 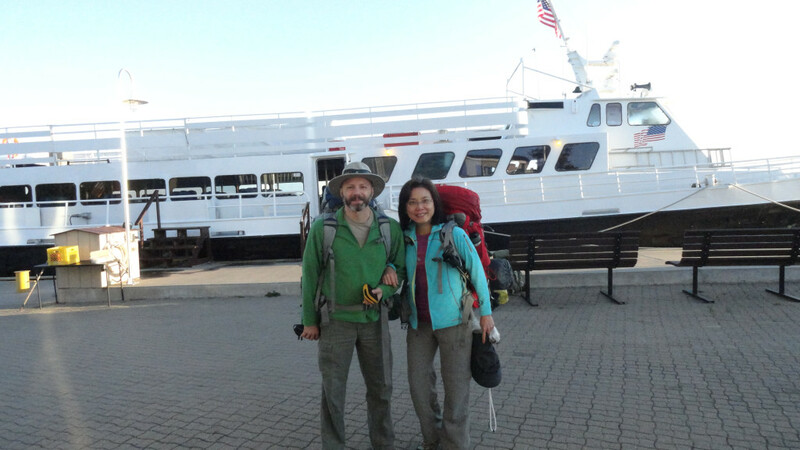 We drove up to Copper Harbor, and took the Isle Royale Queen ferry to the island. The trip takes about 3 1/2 hours. We were luck to have perfect weather and smooth lake conditions. Once we arrived on the island, we had to hike 7 miles to our first stop, Daisy farm. The weather the first day was perfect. A lot of sunshine, and the wild flowers were in bloom. On the Rock Harbor Trail, heading west. The island is essentially a rock with some trees growing on it. The trail is very rugged and uneven. 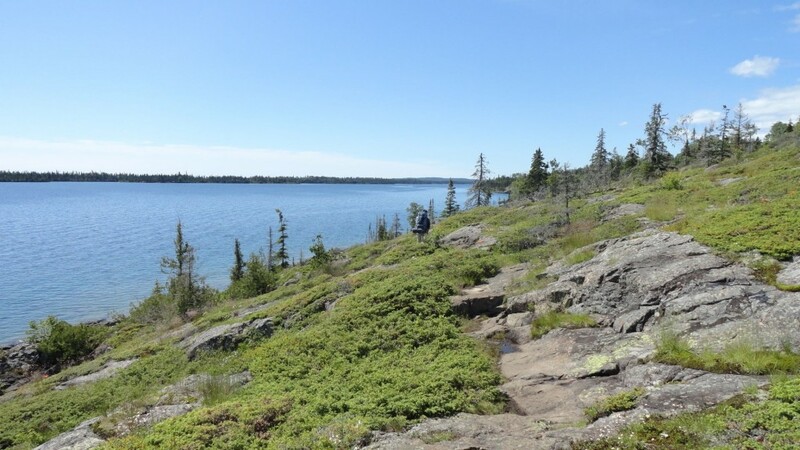 The island is a wilderness area, and you have to carry everything that you will need on the trail: tent, sleeping bag, food, clothes, the works. Carrying a 30-plus pound pack on your back is tough work, no matter how good shape you’re in. Of course, taking a break and enjoying the scenery is part of the reason to visit the park. Taking a break on the trail. We are overlooking Rock Harbor and Lake Superior. 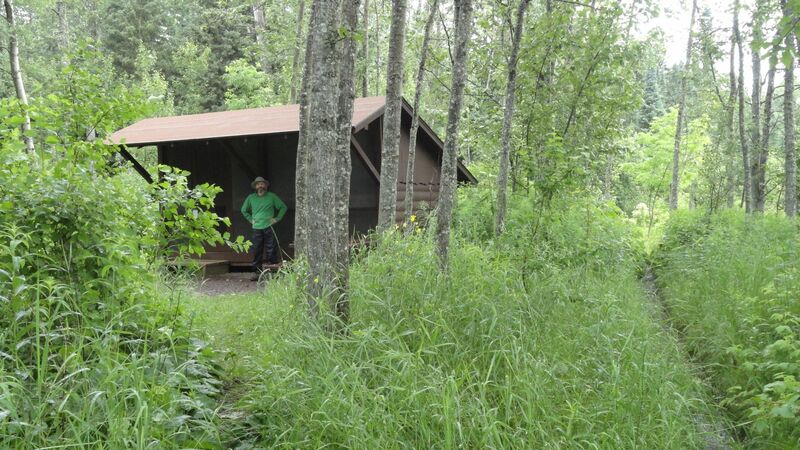 Several campsites have three-walled shelters. 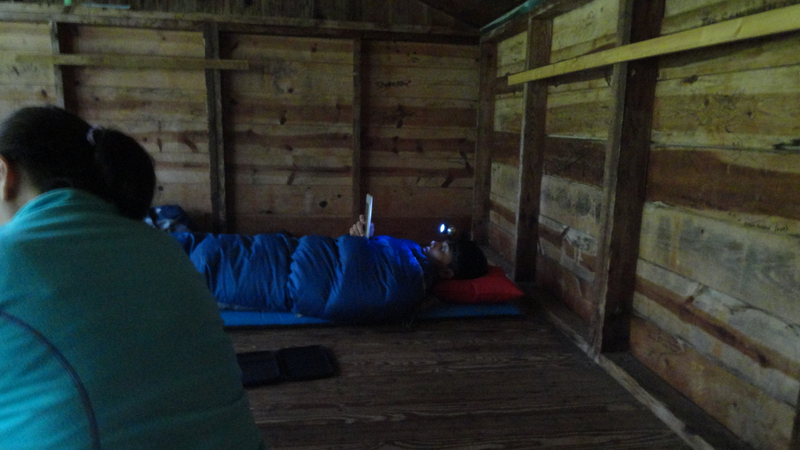 Purists shun them in favor of sleeping in a tent, but I like to be able to spread out a bit, re-pack my bag, and be dry. View of a shelter from the outside. It rained briefly the morning of our second day, so it was nice to be able to wait it out while sitting in the shelter. EP6: Foreign Service Director-General from Conversations w/Nicholas Kralev on Vimeo. The director-general of the U.S. Foreign Service, Ambassador Linda Thomas-Greenfield, talks about recruiting, selecting and training America’s diplomats, and what it takes to maintain 275 diplomatic posts around the world (July 2, 2013). The language points that I earned last week have been added to my score, and my position on the registry has been updated. I was #37 when I was added to the registry, and now I am #5. Invitations to the September class have been sent out (they were sent out two days before I took the language test, rage rage), so I missed that window of opportunity. Historically, there has not been a class in November, which means that the next class will probably be in January. Given the timetable for sending invitations out, invitations for a January class should be sent out in early November. 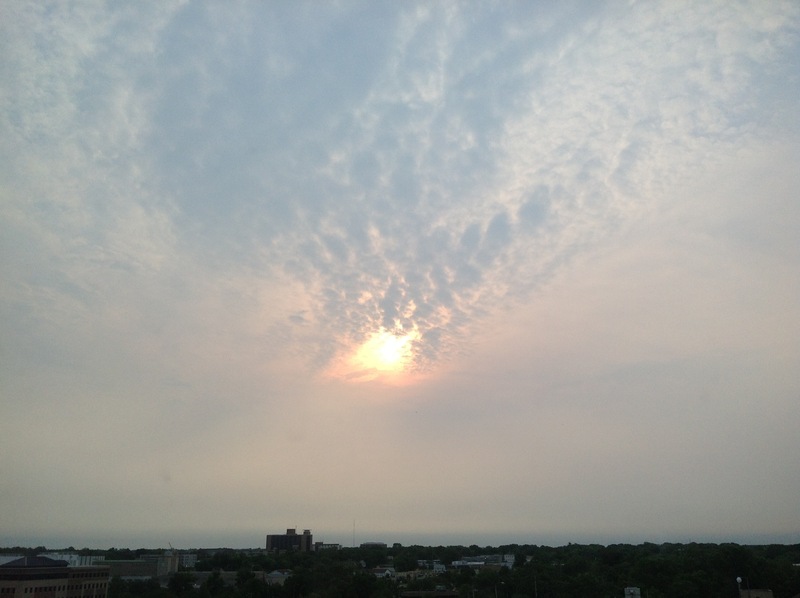 Not a sunrise, but cool effect with the clouds.